Pack the car and hit the road for an adventure filled holiday in the North Burnett. Surround yourself with National Parks, picturesque scenery and flora and fauna filled bushland on your next weekend getaway. Get back to basics and pull out the swag for a night under the stars in the true Aussie outback. Try: Check in to Mingo Crossing Caravan and Recreation Park and enjoy gourmet meals brought right to your campsite. Enjoy yourself with fishing, water-skiing and other recreational water sport activities. The North Burnett has a rich history of gold mining, outback bush tales and Australian Icons. You can head to a museum and learn about the intricate past or ask a local about their knowledge of the heritage listed buildings. Try: Honouring legend R.M Williams, the R.M Williams Australian Bush Learning Centre and learn the history behind the leather-clad legend. Delve into life in the bush with an investigation into traditional and contemporary bush ways. 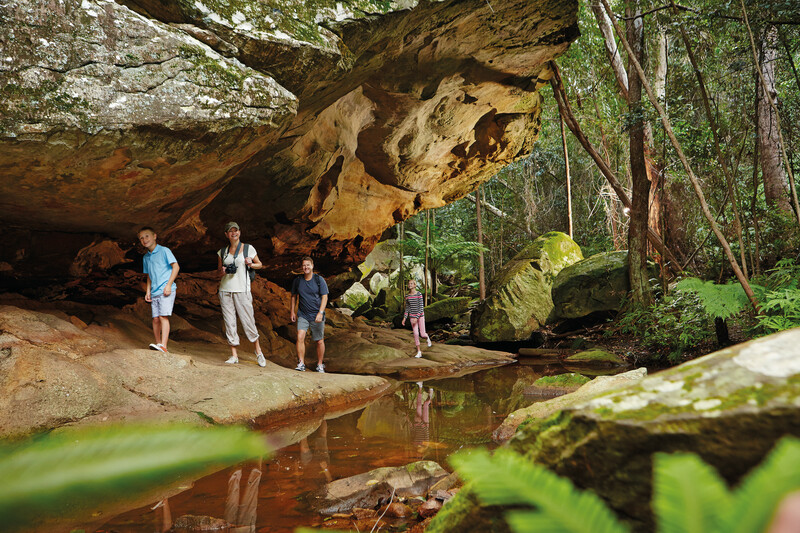 With National Parks dotting the North Burnett, it is no wonder the area is a hiker's dream. Whether you are in the mood for a challenging early-morning hike, or your looking for a leisurely stroll to a picnic spot after a long drive, the North Burnett has a hike for you. Try: Take a challenging short sharp hike up Mount Le Brum to two craters which form shallow lakes throughout the year. Enjoy a bush picnic at Kalliwa Hut in Good Night Scrub National Park and try to spot the 60+ species of butterfly found throughout the park. Let's talk colour, texture and composition. The North Burnett has no shortage of art with local galleries hosting exhibitions highlighting local and visiting artists, street art and the naturally beautiful scenery seamlessly painting a picture on the horizon. Why not get creative yourself? Be inspired by the picturesque landscape and put pen to paper and brush to paint. Try: Explore Lister Street Parkland in Monto with it's creative and intriguing metal and sandstone sculptures. Check out the art scene at Gayndah Art Gallery and see what inspires local artists. Mundubbera is dubbed the Citrus Capital of Queensland with thousands of acres of citrus orchards lining the roads. Local cafés feature fresh local citrus on their menus and the roadside stalls are always abundant with oranges and mandarins. Try: Make sure you pull off when you can and grab some freshly picked by the farmer citrus for a fresh squeezed juice, or an orange and poppy seed cake. Come visit us for the Gayndah Orange Festival (2019 – biannually), celebrating everything citrus with events of all sorts from gala dinners to market days to art shows.